Digital is changing marketing on a minute-to-minute basis. 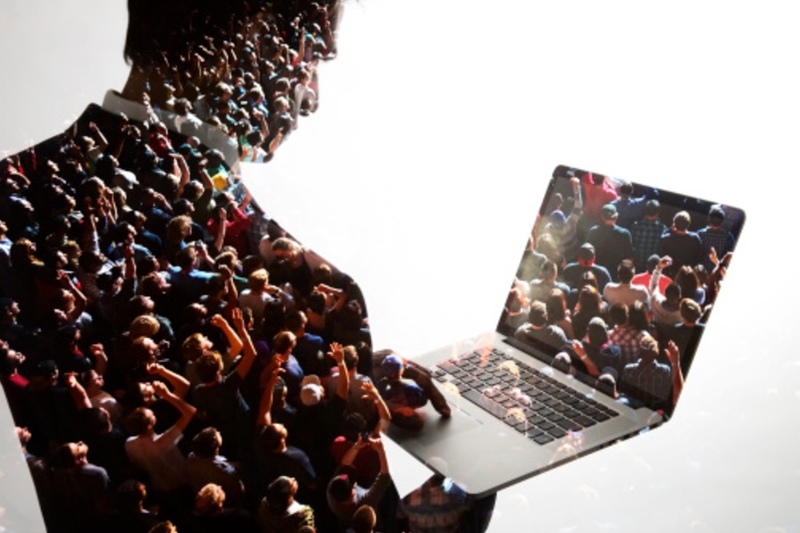 Continue reading to discover exactly how digital is revolutionizing the way we market. 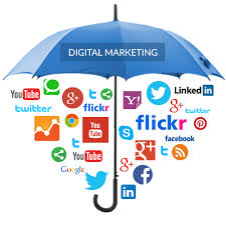 The digital marketing industry is revolutionizing the market. This is forcing the industry to react with sophisticated technology. Technology is the best way to ensure that your campaigns are performing as expected and measure those of your competitors. In the United States, for the first time in history, internet ads have surpassed television ads with revenues of over $72 billion. That is more than the GDP of Iceland, Honduras, and Paraguay…combined. This increased use of the internet creates a tremendous opportunity to collect data and initiate smarter marketing campaigns. In this article, I am going to examine five challenges related to the MarTech revolution, the marketing industry’s response, and some potential solutions. Marketing is changing; it is getting smarter. The best advertisements are the ones that are appealing to us, the ones we want to see. To do this, a tremendous amount of data collection is taking place without you even realizing it. The internet is tracking you. It knows where you have been, where you like to spend most of your time, and where you are going next. This is forcing marketers to change their technique. Digital marketing has revolutionized sites like Facebook and Google, transforming them into virtual marketplaces. An estimated 84% of Facebook ads are targeted. When users search for a plane ticket or a pair of shoes suddenly their newsfeed is packed with airline tickets for their desired destination and shoe styles that match the ones they searched for. This is the revolution. These personalized ads are like shadows following us everywhere we go. Highly targeted marketing campaigns are shaking the industry, forcing marketers to respond quickly and intelligently. Key players who offer these highly personalized marketing campaigns also offer data analysis on their performance. However, what they offer is only a fraction of the mounds of precious data they have collected. Clearly, it is advantageous to keep any significant data to themselves; however, this has created some uncertainty. Only 45% of marketers think that their Facebook efforts are effective (Social Media Examiner, 2015). Secondly, the validity and transparency offered by these online marketing platforms are often questionable. For example, since September 2016, Facebook has admitted to incorrectly charging companies for campaigns in at least 10 different instances. As a marketer, this is unacceptable. It can be drastically misleading and forces you to question every slice of data provided to you. In April, P&G announced a $2 billion marketing cut because they were having trouble determining the effectiveness of their digital marketing campaigns. Chief Brand Officer Mark Prichard, was quoted in the Wall Street Journal saying, “…with ad blockers growing 40% and fraud as high as 20%, who knows if they’re even seeing our ads.” Companies are trying to adopt internal measurement technologies to combat this. Measurement is the biggest challenge marketing teams are facing today. An estimated 55% of B2B (business to business) marketers say they are unclear on what content marketing success or effectiveness looks like. (Content Marketing Institute, 2015). The best way to determine success is by measuring it. Industries are trying to understand and measure the customer journey by using new data collection tools. Enhancing CRM is imperative. However, internally collecting and siphoning through mounds of data can be nearly impossible. While some data collection tools exist, using it properly and intelligently is a completely different challenge. The real struggle is interpreting the data and deciding how to react. CMOs and brand managers are often the ones who need to read this data and respond; however, without a CS degree, it can be tricky. Marketers need to be part analyst and part computer engineer to fully understand digital trends. Determining the effectiveness of your campaigns has never been this technical. Yet another emerging challenge for companies is brand safety. Companies are often blind to the precise location of their advertisements. This means they cannot determine their KPI’s. They cannot pinpoint their reach. Even more concerning, they cannot decipher their return on investment. Companies need to be able to justify their campaigns. CFO’s demand measurability and proof to determine a campaign’s effectiveness and justify costs. In the current age, marketers do not have much control over where their ads are being shown. This is unacceptable because advertising on inappropriate sites or as pre-roll to hateful videos can be extremely damaging to a brand. In March 2017, major brands including Verizon and Pepsi pulled advertising from YouTube after their content appeared alongside videos promoting hate and extremism. This is the kind of thing that keeps CEOs up at night, the utter demise of their brand. If you deposit a check, you make sure the money went to the right place. Right? So how can you advertise and not know where your content is going? 1) — having an agile or flexible marketing plan. Foreseeing potential challenges and pre-planning responses. 2) — being able to respond in real time to changes in consumer trends, pop culture, and market tendencies. Utilizing both agile planning and adjustments is vital in the current digital ecosystem. Things can change with the click of a mouse and being able to respond quickly is essential for keeping a strategic edge. Trump’s “covfefe” tweet created a mass hysteria along with a prime opportunity to show off real time marketing skills. While the world was Googling covfefe, Virgin Trains was tweeting. On May 31st Virgin tweeted a picture reading, “Euston to #covfefe in less than an hour.” This ingenious agile response is just one of many examples of people capitalizing from the “covfefe” incident. This exemplifies the endless opportunities of adopting real time marketing techniques as well as the its importance for keeping up with the competition. As digital marketing revolutionizes the industry, agility and responsiveness are the means to stay on top. In addition to adopting new technology, companies are making sweeping changes in their leadership. Currently, the least stable C-suite position is the CMO. Watch out! Your grandchildren are riding into your companies on a digital tidal wave and they’re after your job. In March, Coca Cola’s CMO Marcos de Quinto, organizer of the “Taste the Feeling” campaign, left the company after over 14 years. Change in leadership is becoming commonplace because modern marketing is constantly evolving. We are living in a time where data is king and MarTech is a means to defend your throne. Those who don’t adjust are left behind. Remember Blockbuster? If you wait for things to regress while they progress you lose. Business is survival of the fittest. In response to these challenges, marketing technology software is quickly becoming the go-to source for information. Not only does it provide more information than industry giants are willing to divulge, but it’s optimized for you. The tech is based on your needs meaning you can see where you’re advertising, who is seeing your ads, and how well they are performing. A sample of 3,500 marketing leaders showed that 51% of marketers already use some sort of AI, and another 27% plan to adopt it soon (Salesforce State of Marketing 2017). Due to the advent of targeted marketing, getting a glimpse into your competitors is becoming increasingly difficult. Staying on top of your competitors is like running on a treadmill, no matter how hard you try to reach the front, the belt always pulls you back. In response, some MarTech software allows you to peek into what your competitors are up to. This is a great example of how technology, which in its quest to solve one problem, created a solution to another. While it still has a long way to go, this tech has propelled us a couple of steps in the right direction. Marketing is a marathon, not a sprint, you have to be prepared for the long haul to cross the finish line. We are in the midst of a great MarTech revolution. People demand measurability. Data consolidation and campaign effectiveness are harder than ever to prove. A massive industry of SaaS (software as a service) companies is sprouting up all over the world. This new marketing technology is providing marketers with the tools necessary to succeed. Marketing is getting smarter, higher tech, and harder than it used to be. The revolution is well underway. Have you adjusted? To learn how you can get the upper hand over your competition visit our website at BrandTotal.com. Nate is a content marketing associate at BrandTotal.